24 years ago three very small girls stood on the front porch of their grandparent’s home, eyes eagerly scanning the road for their daddy’s car. It was Thanksgiving Day, and they were very proud of the Pilgrim and Native American Indian costumes that they had made for the occasion using old sheets and permanent markers. Today was a day of celebration: after months in the hospital their mother was finally coming home. I do not have a great memory, but I do have a vivid memory of that morning. I was 8 years old at the time and my younger sisters and I had been living with our grandparents while my mother endured a bone marrow transplant to try to fight off her breast cancer. I remember my father helping her from the car on that cold Colorado morning. We jumped up and down on the porch as my frail mother beamed at us from behind her hospital mask. Ever since that Thanksgiving so long ago, this holiday has held a special place in my heart. Thanksgiving isn’t a holiday surrounded with hustle and bustle, a month worth of parties and events, and enough gift buying to make your head spin. Thanksgiving is simply about family and gratitude, and I am grateful most of all during this time of year for the marvelous legacy that my mother left behind. My mother’s thirteen year battle with breast cancer ended 13 years after that happy Thanksgiving morning, and in the time that we had with her our lives were full of joy, love, and tradition. She was a great lover of holidays and always made them special. 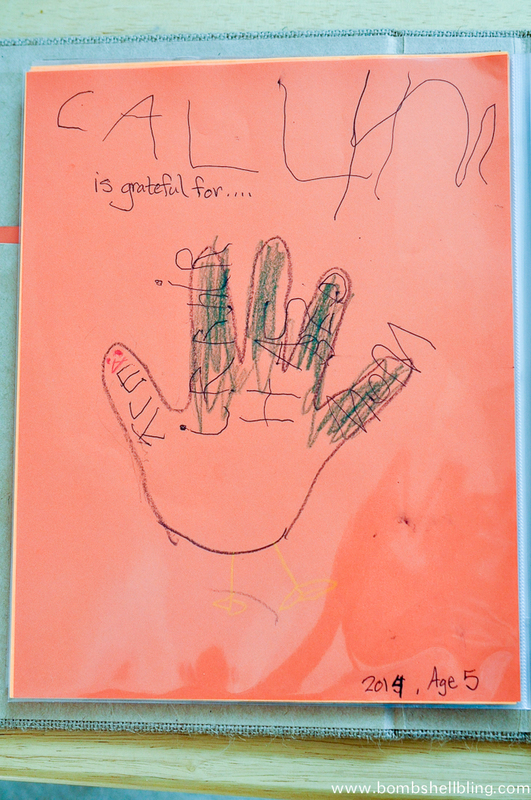 Each and every one came with one of her creative family traditions, and for Thanksgiving we sat down each year and made gratitude hand turkeys. My sisters and I have all adopted this Thanksgiving tradition in our own families. We do it each year as a way to count our blessings and reminisce about our mother so that our children will have an idea of what a wonderful legacy she left for all of us. Doing this Thanksgiving tradition with your own family is simple. 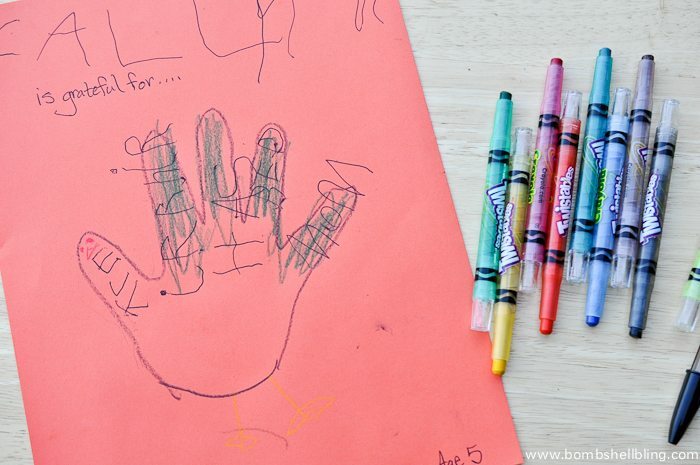 All you need is paper, pens, and crayons. 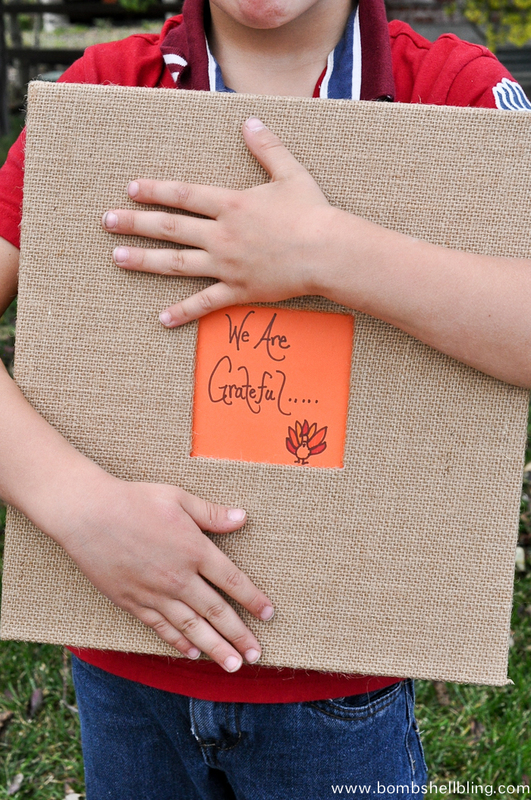 We have chosen to compile our gratitude hand turkeys into a binder so that we can look back on them each year. It is always enjoyable to remember the things that brought us joy in the past, as well as to see how many of those have stayed the same. For my husband and I the chosen blessings do not vary much, but the children always have widely varying answers each year. Fill in each finger with one thing in your life for which you are grateful. 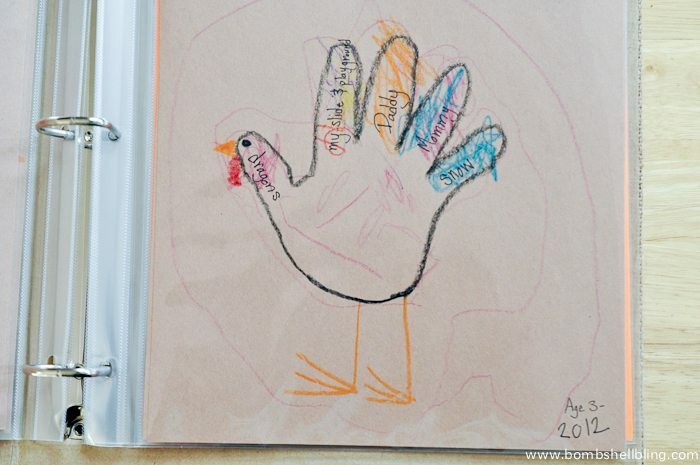 Allow the children to take charge of their own gratitude hand turkey, even if that means bizarre answers and even more bizarre spelling. Those things will just make the turkeys more precious in the coming years. 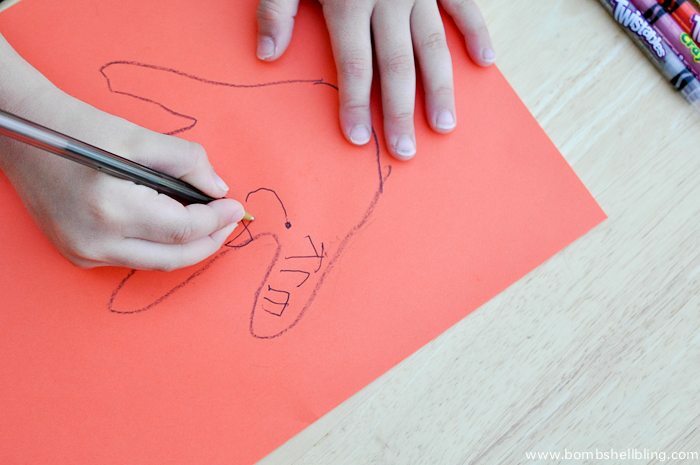 Finish off your turkey by coloring the finger feathers and drawing the face and feet. 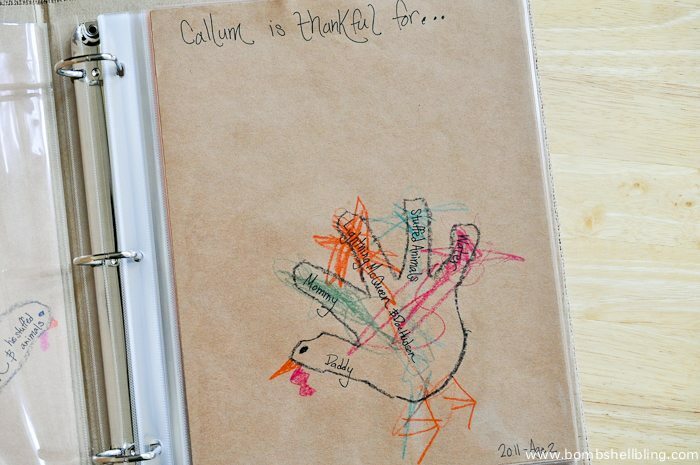 Slide them into page protectors in your binder or put them on your refrigerator to enjoy all season long. 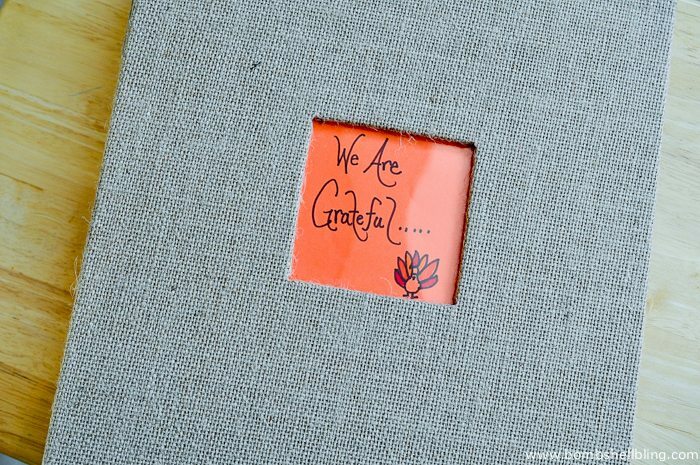 Here is a peek into our Gratitude Binder. 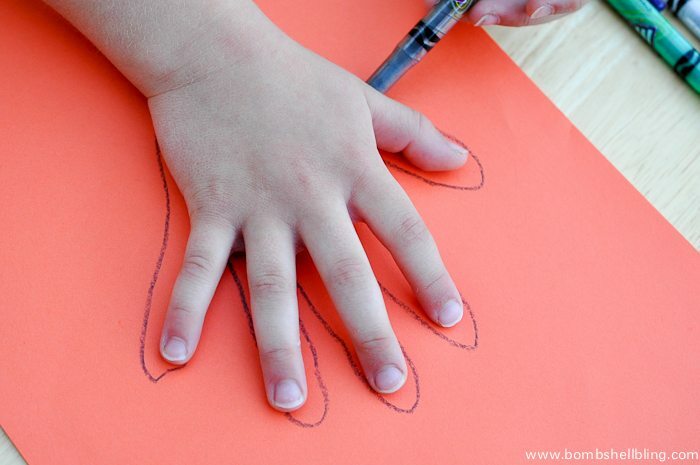 I love seeing the growth of little hands and their changing interests and fine motor skills. 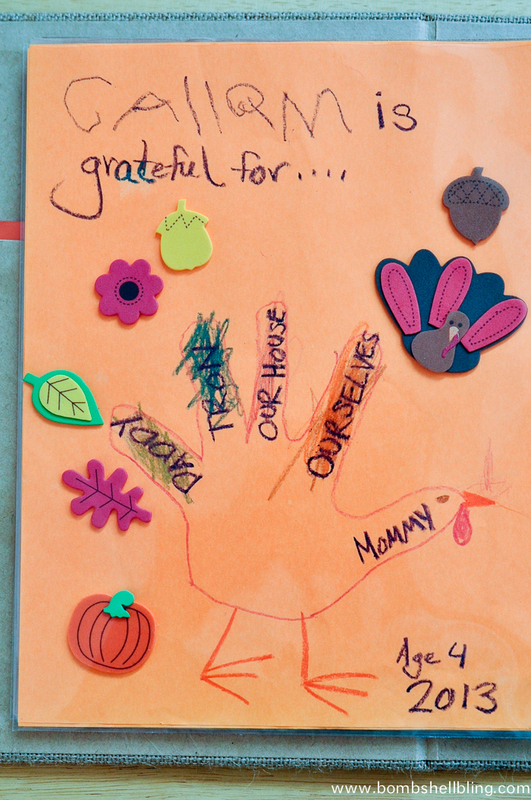 I hope that this simple family activity inspires you to start a new tradition with your loved ones to help you focus on family and gratitude this Thanksgiving season. 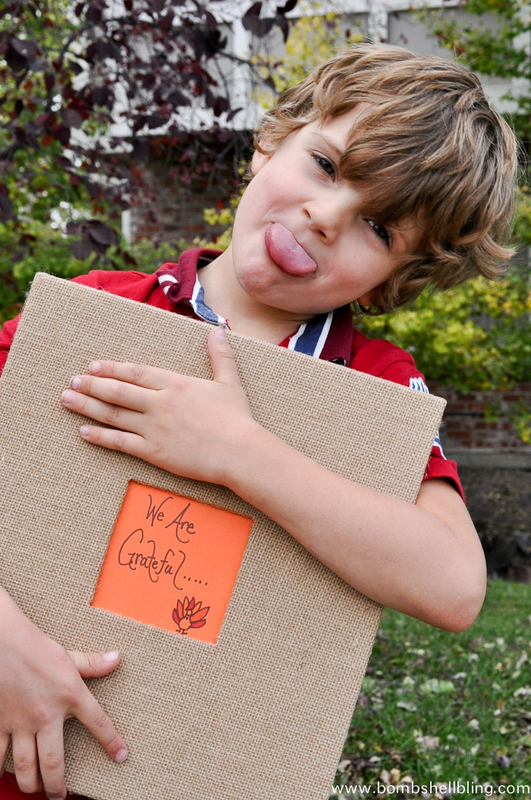 Love the idea of keeping them all in an album! I had them all floating around and decided enough was enough! I am sure to lose them if they aren’t in an album! This one is from Hobby Lobby. Very Thanksgiving-y I think. I LOVE this Sarah! Ok- I am starting one. Such a sweet and fun idea! Love this post! Well written and a fun idea! I like the Chief Life Officer idea too! I LOVE this cuteness! What a great idea. Pinning! Love this! I’m sorry you lost your mom at such a young age. I miss my mom and I was 42… she died of lung cancer… smoker… ugh! This is such a lovely idea. I used to have a table runner I made out of cotton and we wrote on it for a few years. Then, divorce. I think I will start this up again, even with my kids being in their 20’s. Haha. I am so happy to have you as a stalker! 😉 Thanks for the comment – I totally agree!! What a beautiful story about your mom, and a wonderful tradition for your kids. I may have to start this with my toddler! Thank you.